1. Blitva (Swiss chard). 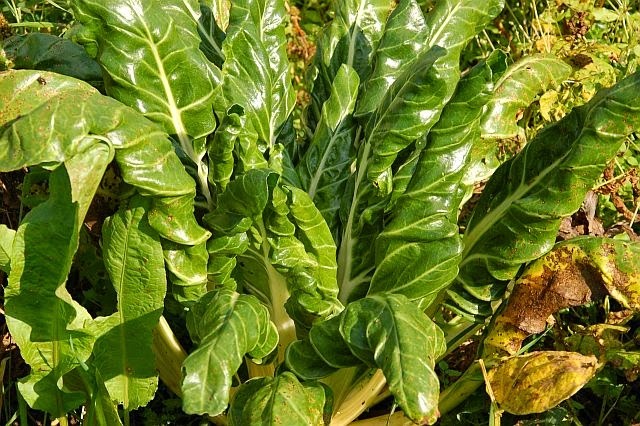 This leafy green vegetable is a staple in Croatian cuisine. Everyone grows it in their vegetable gardens and you can find it on all restaurant menus as a side dish. It’s served just plain, drizzled with a bit of olive oil, or mashed together with potatoes. This was a dish my mother would make very often and it’s a comfort food for me. I hadn’t eaten blitva for years but now I get huge bunches of fresh blitva from my neighbours. Nothing like yummy, home-grown, naturally organic blitva. Blitva I missed you! 2. Gris (Cream of Wheat). A bowl of hot cream of wheat cereal brings back memories of cold winter mornings in Canada when I would have this for breakfast. 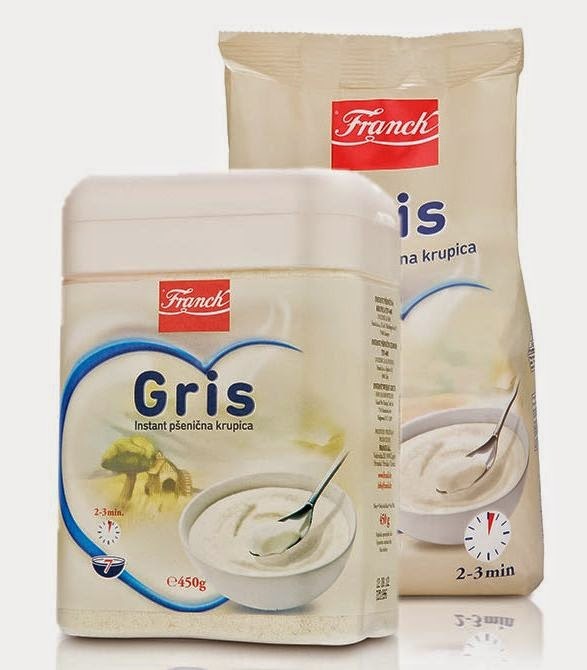 At home we would use the Croatian word for it, gris (pronounced like ‘grease’), so that’s what we called it. This is another winter morning comfort food I hadn’t eaten in years before moving to Istria. My Indian friends will know this as rava. 3. Vegeta. 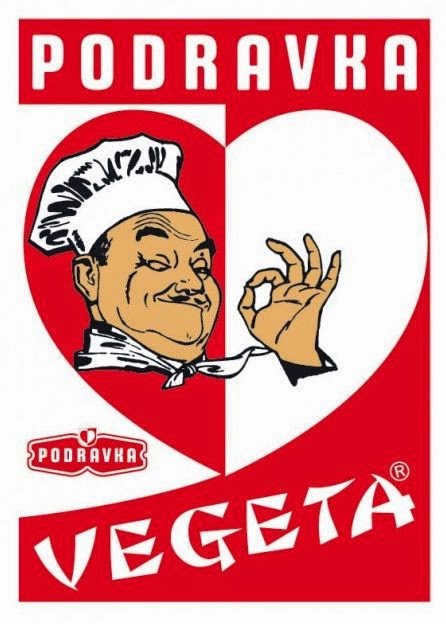 Vegeta is Croatia’s ‘garam masala’. Every Croatian recipe calls for a dash of Vegeta, a powdered mix of dried spices and vegetables. At home in Toronto we had a steady supply which my mother would pick up at a European-style deli. Here, Vegeta takes up much aisle space at the supermarket because it now comes in many different flavours. There’s even a non-MSG version. But in the olden days there was just one type of Vegeta. 4. Napolitanke. 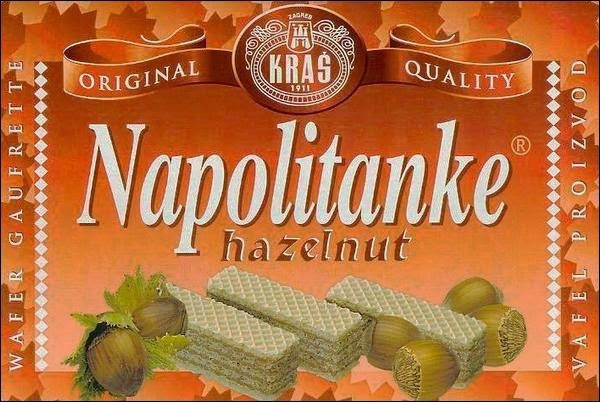 Produced by the Croatian confectionary company Kraš, this is a type of wafer biscuit made with chocolate and hazelnuts. The European deli in Toronto also sold Napolitanke and when I was living in London I would find them at a local Turkish shop. We would always get the hazelnut ones, but today they’re available in other flavours: chocolate, nougat, lemon, chocolate-covered, mocha, rum. Oh and guess what? They’re vegan! 5. Ki-Ki. Ki-Ki is a type of soft candy I knew from the summers I spent here as a child. 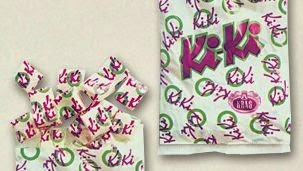 When I see packages of Ki-Ki at stores here it brings back memories of my grandfather who would always bring his grandchildren a bag of Ki-Ki when he would go ‘to town’. Today Ki-Ki comes in a whole bunch of different flavours but I remember that back then there was only one generic flavour and kids loved them. That’s my round-up of childhood foods I’m rediscovering here in Istria. You’ll be forgiven for thinking so, but no, this is not a sponsored post! The wafers look tempting .in Blore, there is a similar Italian made product called Loackers (spelling? )hazelnut flavor.so rich and yum!! Loved the comfort food post, my Lithuanian grandmother loved chard and beet greens too and used farina, really cream of wheat, for winter breakfast and for a wonderful summer cold pudding which you put fruit on. The wafers seem to be a universal favorite, my mother was never without them. Enjoy the Fall. p.s. My delicious elderflower syrup is gone,we all miss it. Lillian, I have rationed my last bottle of elderflower syrup... soon it will be all gone too! Glad your family enjoys some of these foods too! Thanks for stopping by Catherine! I don't really look for the familiar but am happy when it appears unexpectedly! Okra and boy choy in Paris must be possible? I can't find okra and book choy in my neighborhood market... but thank goodness it's just a short bus ride away in the next arrondissement :) whew! Ohhh I accidentally purchased gris when I arrived as I thought it was polenta. I still have a packet of it. No clue how to make it... whats the best way to enjoy it Isabel? Sarah Jane you can cook in the same way you cook oatmeal and even polenta. Add it slowly to boiling water while constantly stirring so it doesn't clump. I like to add a pinch of salt. You can serve it with milk and a sprinkling of sugar. Enjoy! Blitva! Haven't heard that word in a while..Love your blog and have thoroughly enjoyed immersing myself back in time. I may just call my mother and get that blitva recipe. I believe she made it with krumpir...(potatoes). Hi Silvanna, Thanks for visiting my window! Yes, with potatoes -- my favourite way of eating it!